Screenplay by Glenn Ficarra and John Requa. Nicky Spurgeon (Smith) is a con man who understands every nuance of confidence crimes. He is intrigued when a young woman Jess (Robbie) tries to scam him, he goes along with the scam for a while to see what skill level this beautiful woman has. Afterwards with a little convincing he decides to teach her how to improve her skills and become a better criminal. He puts a team together and heads to New Orleans for Mardi Gras and there the team goes to work scamming tourists and locals alike netting a one week total of over a million dollars. The banter within the team is fun and there is one particular scene where Jess is given all the signals before entering a crowd; she is then asked if she understood and she has a look like a deer in the headlights. She responds with confusion and the line in return was “OK plan B”. It is after New Orleans we are subjected to Nicky Spurgeons’ single flaw…..gambling. Nicky, Jess, and the money head to the Superbowl where Nicky gets involved in some harmless bets that spiral out of control. The movie takes us on some twist and turns where we wind up guessing the outcomes but get surprised with what happens. This movie is not great by any stretch of the imagination but it has moments that redeem some of the flaws. For the most part I enjoyed this crime caper/love story but there were parts that were too far fetched. I may sound conflicted but I will give this movie it’s due, I was entertained for most of it but you do have to check your brain out at the door for some scenes. 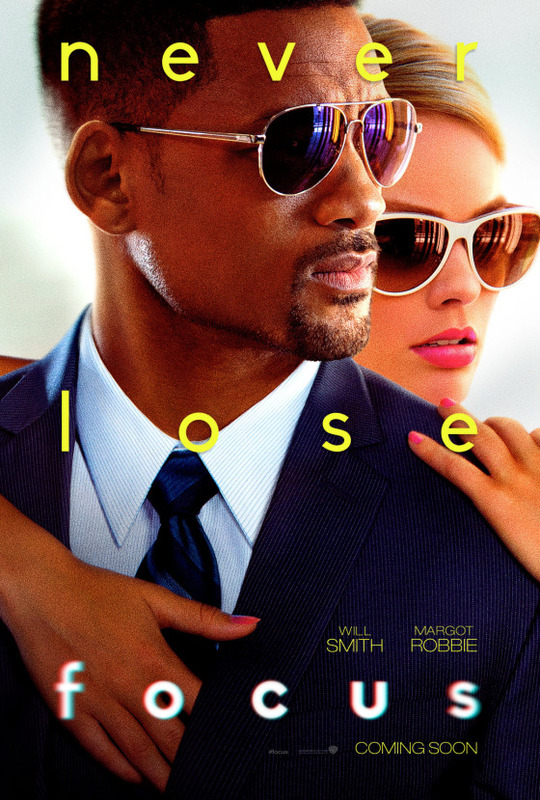 The performances by Will Smith and Margot Robbie are very good and drive the movie farther than it should have gone. The stand out performance by Gerald McRaney was a pleasant surprise that lifted this movie as well. If you like crime movies you should enjoy this movie. Directors’ Previous Movies: Crazy Stupid Love, I Love You Phillip Morris. If you liked this try: The Sting, Heat, American Hustle.